specialising in art and culture. We partner closely with our clients to provide expertise, advice and targeted solutions in the fields of public relations, strategic communications and business development. Colnaghi and Chahan are pleased to announce a partnership celebrating the timeless appeal and enduring legacy of the Grand Tour. 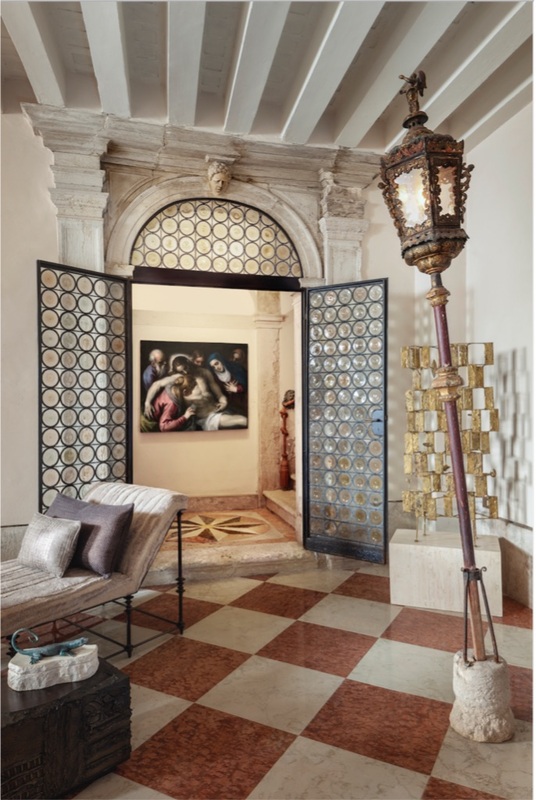 The project will present the home of a 21st-century traveller at the historic Abbazia di San Gregorio in Venice where Chahan Minassian will create a signature atmosphere incorporating master paintings with vintage and modern furniture and design. The Abbazia will open on 11 May, coinciding with the launch of La Biennale di Venezia, and will remain open by appointment until 24 November 2019. 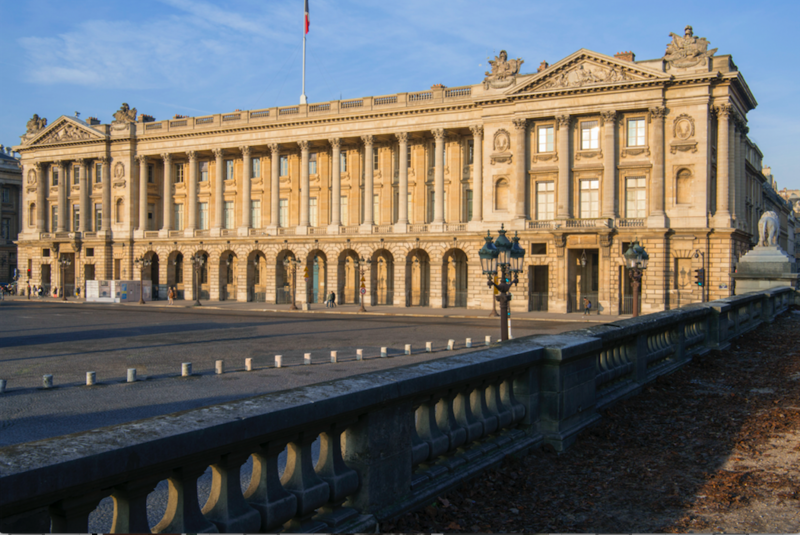 The Al Thani Collection is proud to announce a partnership with the Centre des monuments nationaux that will provide the Collection with a long-term museum space at the Hôtel de la Marine in Paris, the historic building which was formerly the repository of the French royal collections. The first exhibition is scheduled to open simultaneously with the Hôtel de la Marine in spring 2020. From 1 to 24 November 2018, Eskenazi will show the second part of the collection of Norman A. Kurland, a renowned American film and television agent who over a period of four decades has assembled the most important private collection of art and sculpture from the Six Dynasties period (220 to 581 AD). The exhibition follows the success of Part one which was held in November 2017 and which attracted great attention with works now residing in museum and private collections. 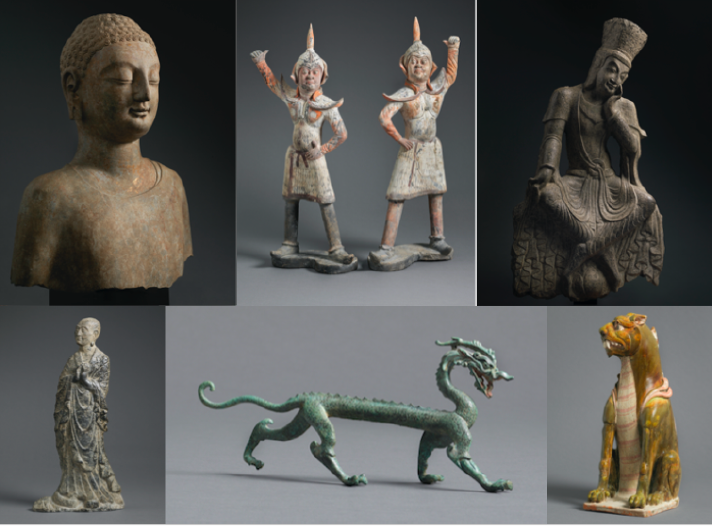 Part two will feature 38 works including two highly important early Buddhist sculptures alongside rare and exceptional examples of earthenware, metalwork and textiles. From September 8th to October 8th, 2018, the Château de Fontainebleau presents, in its stunning ballroom, over sixty masterpieces on loan from the prestigious Al Thani Collection. This exhibition uses ancient sculpture, works of art, metalwork, coins, miniature paintings, weapons and jewellery to explore the image of the king and that of royal power throughout the ages and civilisations, from Sumerian royalty (around 2000 BC) to 19th-century European monarchies, via Pharaonic Egypt, the ancient Near East, Ottoman sultans and Mughal emperors. Colnaghi returns to Frieze Masters in 2018 where they will celebrate ancient art alongside important European Old Master paintings and sculptures. 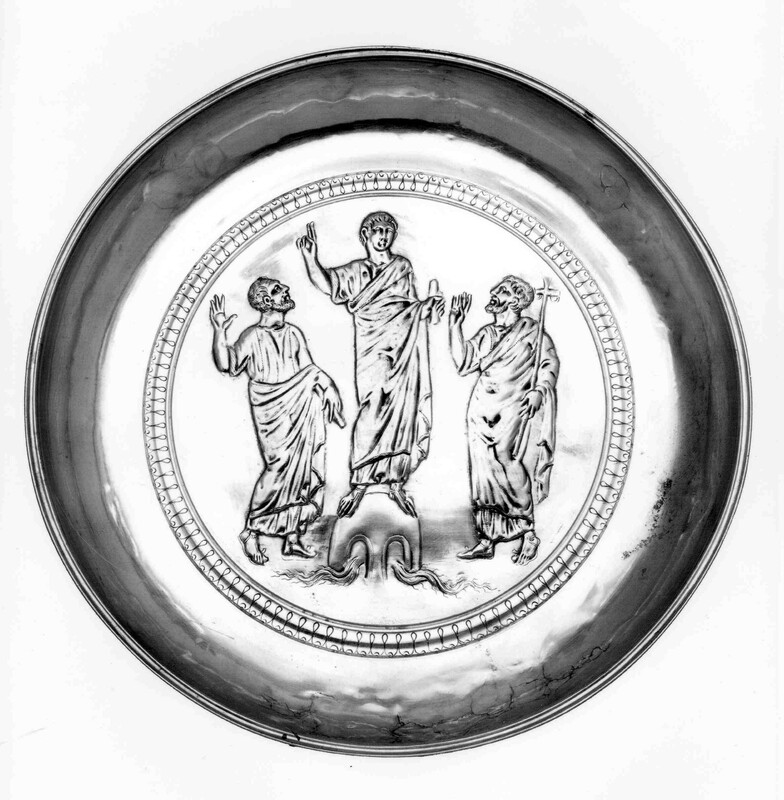 A leading highlight is an elegant early Christian silver bowl depicting Christ with Peter and Paul (circa 4th – early 5th century AD) which will be shown alongside recently rediscovered paintings by Palma il Giovane (1554-1628), the last of the great Venetian Mannerists, and Salomon de Bray (1597-1664), celebrated painter of the Dutch Golden Age. From 5 September 2018 to 13 January 2019, the State Hermitage Museum is delighted to present the exhibition “The Age of Rembrandt and Vermeer: Masterpieces of The Leiden Collection” in The Nicholas Hall of the Winter Palace. 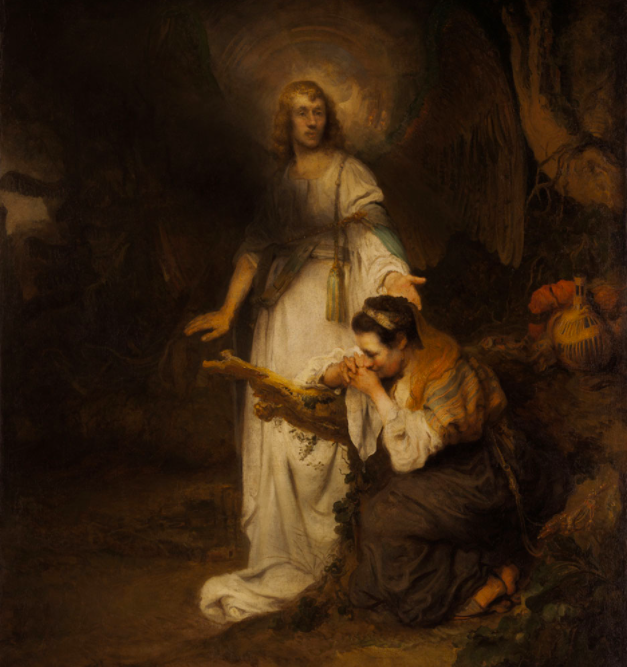 The Leiden Collection, named in honour of the Dutch city where Rembrandt was born, was founded in 2003 by Dr. Thomas S. Kaplan and his wife, Daphne Recanati Kaplan, and comprises some 250 paintings and works of graphic art. The exhibition contains 82 works from The Leiden Collection by outstanding Dutch painters, including 12 paintings by Rembrandt (from both his early, Leiden years and his later mature Amsterdam period), works by Frans Hals and Johannes Vermeer, and also pieces by Rembrandt’s pupils (including Gerrit Dou, Ferdinand Bol and Govaert Flinck). 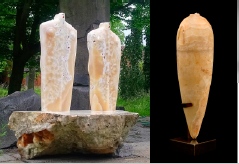 Kallos Gallery is pleased to announce an exhibition in collaboration with the celebrated sculptor Stephen Cox, R.A. and inspired by the materiality of stone. On view from 1 October to 2 November, Stephen Cox X Kallos Gallery: Ancient Stone will feature a selection of important antiquities alongside approximately 15 contemporary sculptures by Stephen Cox, an artist renowned for his knowledge of ancient sculptural techniques, traditions and materials. 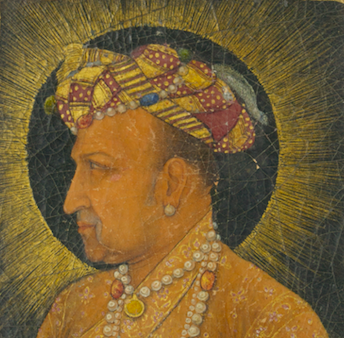 The exhibition will include works in porphyry, marble, sandstone, granite and flint.